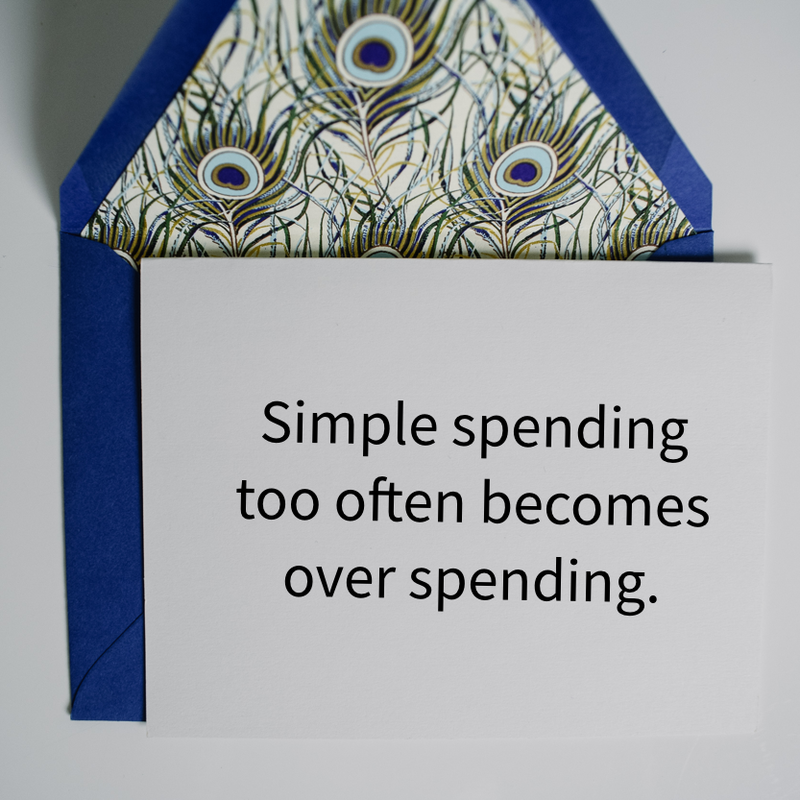 Despite being more disciplined than most (our friends can vouch) my husband and I weren't sticking to our budget. The budget wasn't even that tight, but alas what was meant to be a food-eating budget turned into anything you can buy at Whole Foods. 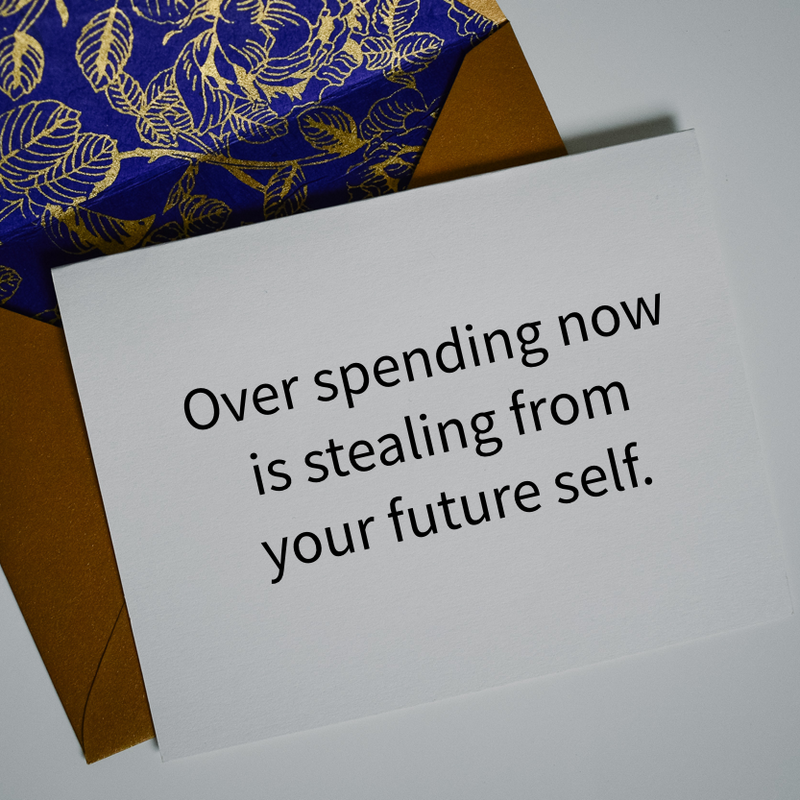 While spending feels good in the moment, frivolous spending is actually stealing from your future self. We used to have the typical joint account with a budget for things like rent, groceries, and "fun." The problem was there was nothing keeping you honest (wine is groceries right?). Another problem was that any time you spent money from the "fun" budget, you were effectively taking away how much the other person could spend on fun. This also meant that you could see everything the other person bought which is really inconvenient when you want to buy a birthday gift. 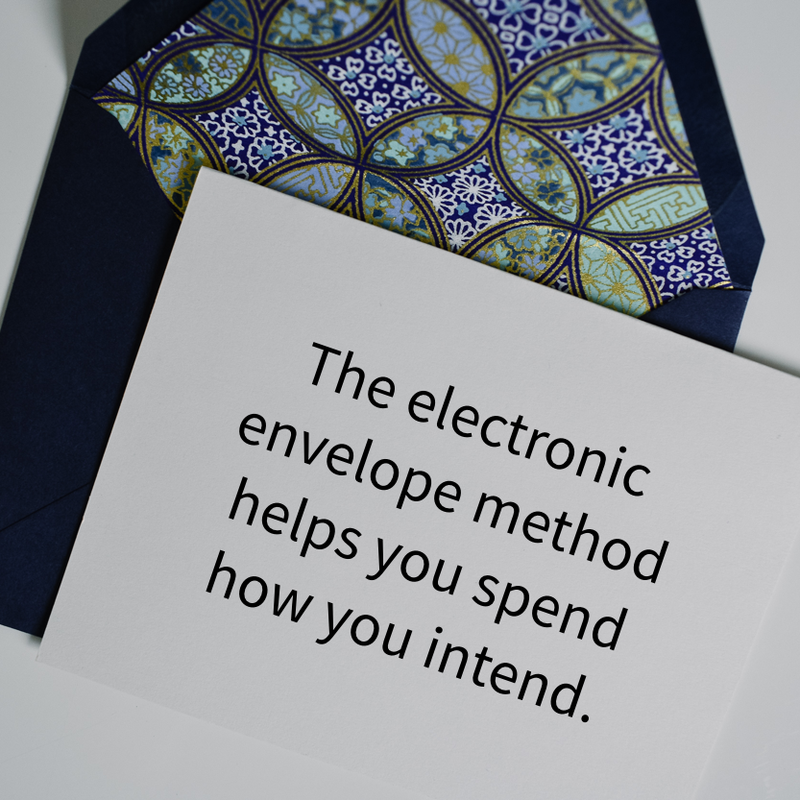 Enter the electronic envelope method, which is just like the traditional envelope method, where you put hard cash in envelopes for different purposes. Enveloping our spending allowance into electronic categories has kept us honest and given us more freedom. Fixed, mandatory expenses (like rent and internet) are automatically paid from our joint main checking account. We each have our own CapitalOne checking account where all discretionary spending must come from. Every week on Tuesday nights, $240 lands in our checking accounts. Tuesday night is the best night because it avoids burning through your cash over the weekend forcing you to eat lentils for three meals a day until the next deposit. We then have money go into more specific buckets to make sure that we always have money for the things we need. The rest is "mad money" which means you can do whatever the hell you want with it. That leaves $95 leftover for spontaneous stuff, saving—whatever! As you can see I just got back from grocery shopping and had a haircut a few weeks ago. $240 might sound like a lot of money—and in most places besides San Francisco it is—but I urge you to try this and not make any exceptions for 6 weeks and you'll see that all those coffees add up. The trick is to find something low enough to reach your financial goals, but high enough that you won't cheat and spend outside of the account in a moment of frustration. Experiment and find the weekly allowance that works for you. This method means you'll have to use the mobile app to transfer money from your grocery bucket into your checking bucket before you pay. While this is annoying at first, the electronic envelope method forces you to spend how you intend. I check my balance before most purchases and before I agree to plans with friends. If my mad money is gone and I only have grocery money left, then I have to miss out. The bright side is that I'm in complete control of my spending and I'm not stealing from my future self.